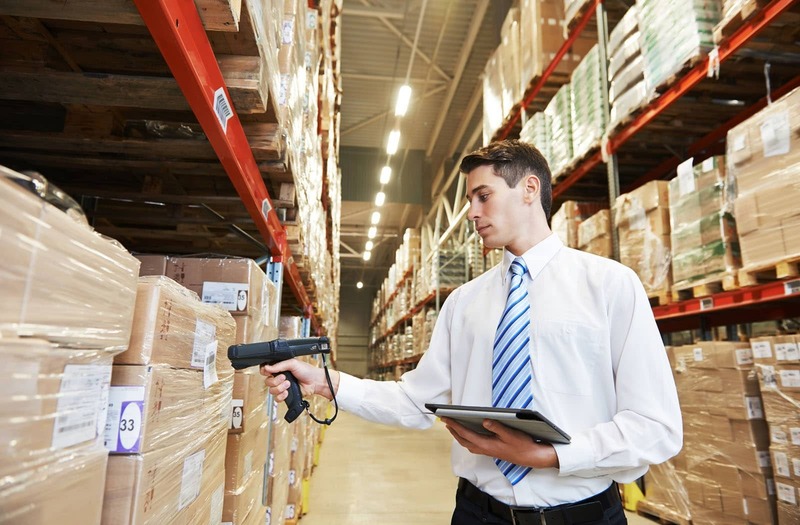 Leading Manufacturer of printed barcode labels, plain barcode labels, chromo barcode labels, avery barcode labels, metal barcode labels and pearl barcode label from Mumbai. Keeping track of latest market trends and offering superior solutions accordingly we present high quality PrintedBarcode Label. 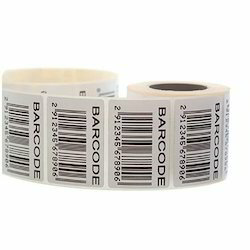 These Barcode Labels are available from us in various sizes and provisions and are made using high-quality materials and advanced techniques for long life. They are used by clients to keep track of products sold and we offer a hassle free range at competitive market prices and timely delivery. Backed by vast expertise in this domain and qualified professionals we offer our clients superior quality Plain Barcode Label. 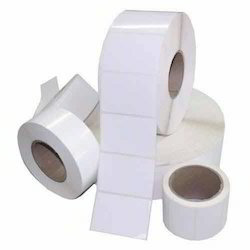 Widely used in various industries for keeping a record of goods sold they are manufactured using finest quality raw materials and latest technology. They are easy to use as per user requirement and we provide a defect free range at pocket-friendly market prices. Being a prominent name in the market we are engaged in offering our clients superior and high-quality range of Chromo Barcode Label. They are fabricated using high-quality materials and latest techniques and used by various industries for record of goods sold. Available from us in various sizes as per client requirement of order we offer them at cost effective market prices and with timely delivery. ???Rs. 10 to Rs. 2000 per 1000 Labels??? 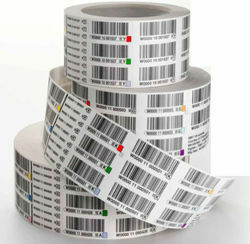 We manufacture and supply premium quality Metal Barcode Labels. 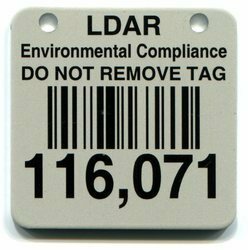 Manufactured from best quality aluminum, steel or brass, these barcode labels are used for plants and machines. These labels can be custom designed as per the specifications and are acid tested having life span of 20+ years. Rs. 65 to Rs. 450 per Label??? 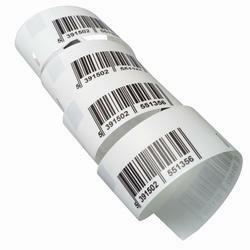 We manufacture best in class Pearl Barcode Labels. 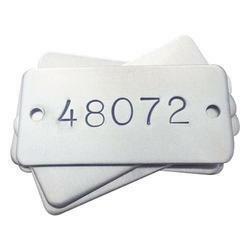 We are engaged in offering a wide range of Aluminum Barcode Labels. 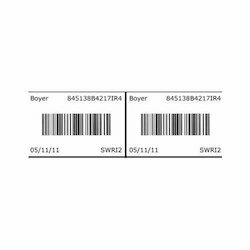 We offer high-grade quality and different sizes of Aluminum Barcode labels to our customers as per the requirement specifications. This product is designed using the latest techniques in order to maintain its adherence to universally accepted standards. 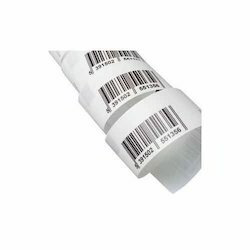 These Aluminium Barcode Labels are highly acknowledged amongst the customers for their fine finish and durability having features such as top quality and great strength. 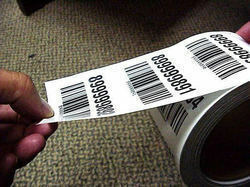 Our company is the foremost in Manufacturing Pre Printed Bar Code Labels for our clients. Printed Label is manufactured by using high-grade material and sophisticated technology with help of expert professional. Offered range is well recognized for sturdiness and long service life amongst customers. This product is widely appreciated by the clients for sturdiness, elegant design, and long life. Offered range is properly checked by expert quality controllers on different parameters to ensure flawlessness. This product can be available in the different specification as per the demand of clients. Pack Type (Piece) As per client request . Our company is the foremost in Manufacturing Printed Labels for our clients. Printed Label is manufactured by using high-grade material and sophisticated technology with help of expert professional. Offered range is well recognized for sturdiness and long service life amongst customers. This product is widely appreciated by the clients for sturdiness, elegant design, and long life. Offered range is properly checked by expert quality controllers on different parameters to ensure flawlessness. This product can be available in the different specification as per the demand of clients.